If you have an aloe vera plant or are considering getting one then you need to be prepared for aloe vera babies. Lots of babies. Aloe can be grown from seed but most of the time you’ll get a plant thanks to how successful they are at sprouting little plants. I currently have TWENTY FIVE aloe vera pups growing on and needing new homes. If your plant has started to grow pups, the instructions below will help you divide, re-pot, and grow them on. The video below will help you too. PS — my aloes are Aloe vera var. chinensis and may look different to yours. First things first. You will need a mature and healthy aloe vera plant to work with. Once you have it for a while you’ll probably start noticing miniature aloe plants forming at its base. 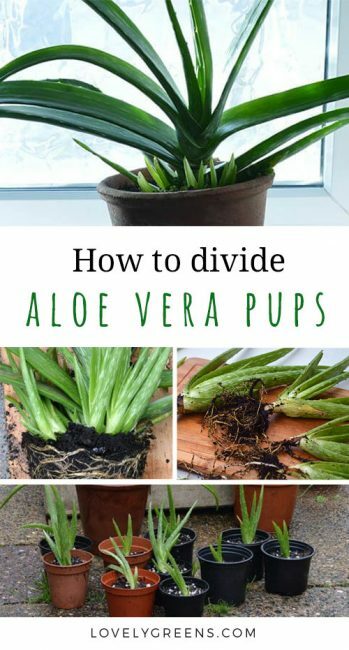 Wait until those aloe vera babies are about three to four inches tall before you start dividing them. A good watering once in a while. 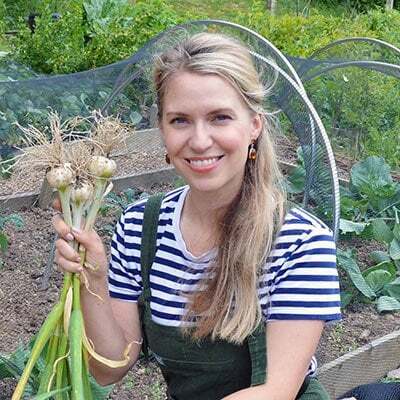 Drench their compost only when it’s dry visibly and to the touch. Wait until it’s completely dry before watering again. 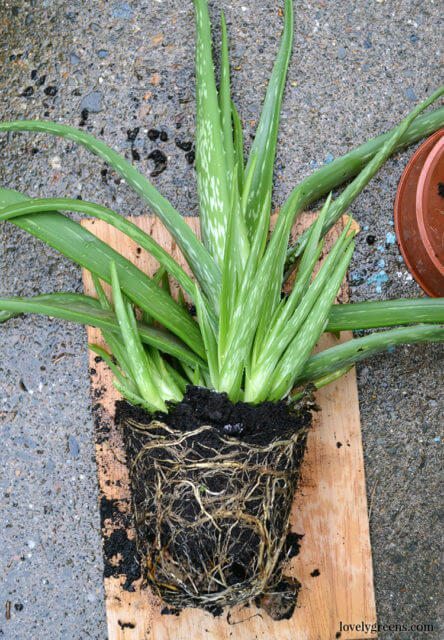 Most aloe vera pups will be firmly attached to the base of the parent plant but will also have their own roots. Take the parent plant out of its pot and then brush as much of the compost from its roots as possible. Find each baby plant and see if you can pull it away from the main plant easily. If it comes away and has roots you’re good to go. If it does not have roots it won’t grow on. For aloe vera babies that won’t give, use a sharp and clean knife to carefully cut it off of the parent plant. 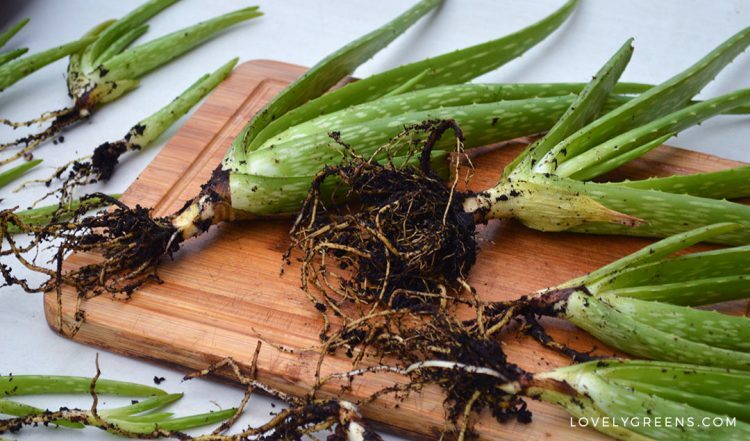 Like all succulents, aloe vera’s wounds need to dry and callus over before you pot it up. Lay the parent plant, along with all the pups, in a cool, dry, place out of direct sunlight. 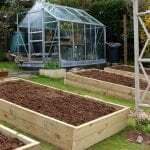 Leave them there for between 1-6 days before you re-plant them. You can re-pot the parent plant and aloe vera babies after 24 hours. If you’re busy and can’t get around to it, you have up to about six days before they begin suffering for being out of the soil. You’ll notice after a day that the cut parts on the roots will have dried up to a slightly rough finish. The baby plants will need their own homes now and a chance to grow a full root system. Each baby plant will need its own pot sized about 4″ in diameter. If you need to buy them, consider using these biodegradable pots. 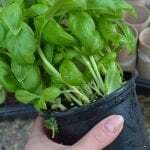 Gently tuck each plant into its new home and firm down the compost around it. Plant it no deeper than it was growing out of the ground at before. Wait three days before you water them. After then, water the plants only once the compost dries up. How long until they’re mature? Aloe vera plants can live for up to twelve years. That’s a decent amount of time for a plant! 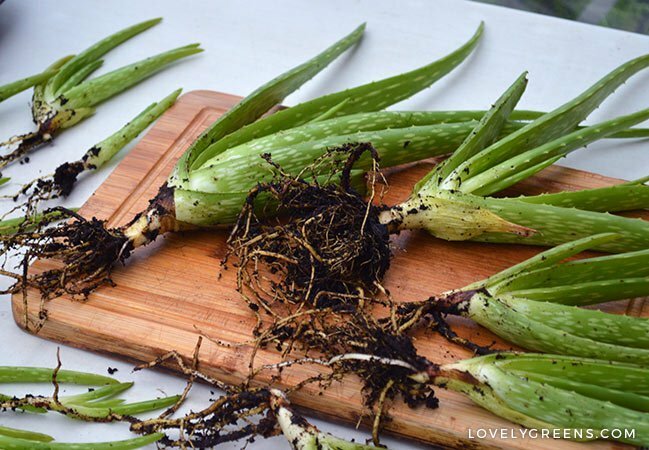 That also means that it takes some time before your aloe vera pups reach the stage where you can harvest their leaves for gel. 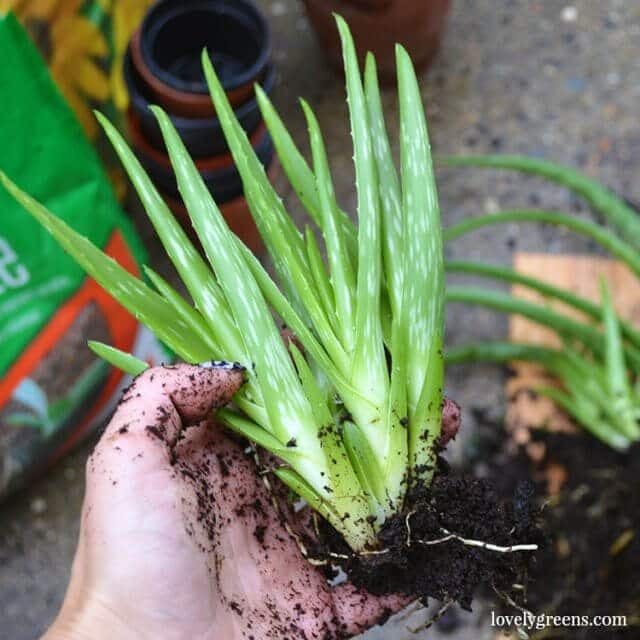 Keep in mind that aloe vera doesn’t need much in the way of fertilizing. They benefit from being replanted in a new pot with new compost each year. Barring that, a light balanced feed in spring or autumn will be plenty. 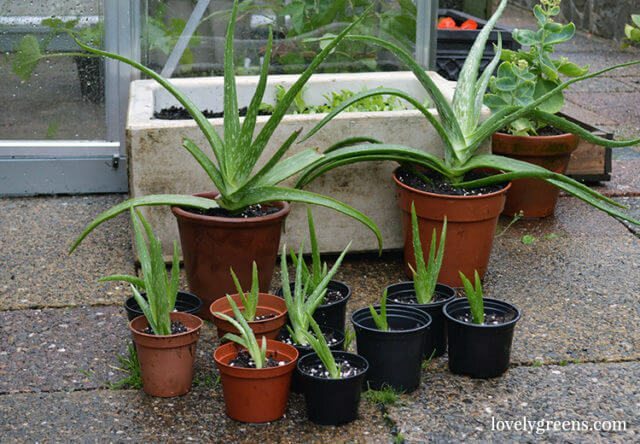 It will take three to four years for your aloe vera babies to grow as large as their parent. During that time, they’re a great purifier of air in the house and look great as a house plant. When they’re large enough, you can use the gel you harvest from their leaves to treat burns, insect bites, sun burns, and even to make handmade lotion. Thank you for a great, informative video. It was clear and easy to follow. Aloe Vera is very beneficial for our health I recommended all the people must grow aloe vera in you gardens. Thank you for a very easy reading and non- intimidating instructions on repotting an Aloe Plant!